The teachings of the Catholic Faith are found in three sources: Sacred Tradition, Sacred Scripture, and the Magisterium. The Magisterium teaches from Tradition and Scripture, and also from natural law; but all the teachings of natural law are also found, at least implicitly, in Tradition and Scripture. All the teachings of the Magisterium are found in Divine Revelation: in Tradition and Scripture. Nothing taught by the Magisterium is absent from Sacred Tradition or Sacred Scripture. Divine Revelation contains explicit teachings, such as that Jesus died for our salvation, and implicit teachings, such as the Immaculate Conception and the Assumption. When the Magisterium teaches any doctrine infallibly, it has the same level of authority regardless of whether it is explicit or implicit in Tradition or Scripture. The dogma of the Immaculate Conception of Mary is no less a required belief than the Incarnation of Christ. To deny either teaching is heresy. All other teachings are non-infallible, and subject to a limited possibility of error and reform. No matter which type of infallibility is exercised by the Magisterium, the requirement to believe is the same. All infallible teachings require the full assent of faith. The non-infallible teachings require a lesser degree and different type of assent: the religious submission of will and intellect. A faithful Catholic can disagree, to a limited extent, with a non-infallible teaching, if he has a firm basis in the other teachings of Tradition, Scripture, Magisterium. But no dissent from any infallible teaching is faithful. A dogma is an infallible doctrine. No matter which of the three types of infallibility are exercised by the Magisterium, every infallible teaching is a dogma requiring the full assent of faith, under pain of heresy. The dogma of the Immaculate Conception is implicit in Tradition and Scripture, and its denial is heresy. The dogma of the Incarnation is explicit in Tradition and Scripture, and its denial is heresy. All infallible teachings of the Magisterium require the full assent of faith, under penalty of heresy. Material heresy is the heretical idea itself, apart from anyone choosing to adhere to that idea. To knowingly and freely adhere to material heresy, or to knowingly and freely reject any infallible teaching of the Magisterium, is formal heresy. If a person mistakenly adheres to material heresy, without the culpability that comes from making a choice that is both knowing and free, his error is mere material heresy, not the sin of formal heresy. He may have sinned to some extent, perhaps only as a venial sin, by negligence in learning the Faith, but his sin is not the grave sin of formal heresy. The above quote is the CCC quoting Canon law. However, the definition of heresy and the sin of heresy itself are of the eternal moral law. Heresy is not merely a canonical infraction, a breaking of a rule; it is a grave sin against the eternal moral law. Canon law contains some direct expressions of truths on matters of faith and morals (doctrine), and it contains rules and regulations (discipline). The latter are per se of Canon law, and can be changed or dispensed by proper authority. The former are unchanging eternal truths, and are not per se of Canon law. It is useful for Canon law to contain such direct expressions of doctrine, so that discipline and doctrine will be thoroughly integrated. But even if heresy were not mentioned in Canon law at all, it would still be a grave sin. All sin is prohibited by the eternal moral law. No Church law and no human law is needed to make a sin immoral. All sin is contrary to the Justice inherent in the Nature of God, who is Eternal. The penalty for the sin of apostasy, the sin of heresy, and the sin of schism is automatic excommunication. However, this penalty ONLY applies if the sin is committed knowingly and freely. Mere material heresy does not excommunicate; only formal heresy excommunicates. So if a Catholic mistakenly adheres to an idea, without realizing that it is contrary to an infallible teaching of the Magisterium, he is not automatically excommunicated. The penalty of automatic excommunication is stated in Canon law. But unlike the vast majority of canonical penalties, automatic excommunication for apostasy or heresy or schism applies independently of Canon law. The sin itself of apostasy, or heresy, or schism inherently cuts the sinner off from the Church, even if there were no Canon law on the subject. The knowing and free choice to commit apostasy — to leave the Christian Faith altogether — is a choice to remove oneself from the Church and the Faith. No one is a part of the Church against his will. The apostate chooses to cut himself off from the Church. The knowing and free choice to commit heresy or schism is inherently a choice to depart from the Church; for we are all bound together as one Body by adhering to the one Faith. Even if Canon law did not exist, the penalty for formal heresy would still be automatic excommunication, under the eternal moral law. 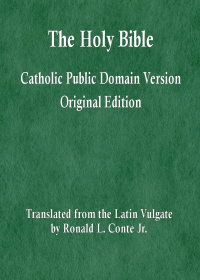 Any Catholic who knowingly and freely chooses, obstinately, to reject or doubt any infallible teaching of the Magisterium, whether that infallible truth is explicit or implicit in Tradition and Scripture, no matter which mode of infallibility is exercised by the Magisterium, is knowingly and freely choosing to commit the sin of formal heresy. All persons who commit formal heresy are automatically excommunicated. Neither the Pope, nor the Holy See, nor an Ecumenical Council, nor Canon Law, has the ability to lessen or change the penalty for formal heresy such that the heretic would not be automatically excommunicated — and remain so until he is no longer in a state of formal heresy. The idea that the Church has the authority to ordain women to the priesthood is material heresy. Any Catholic who knows that the Church infallibly teaches that the Church has no authority to ordain women to the priesthood, and who freely chooses to obstinately deny or obstinately doubt this infallible teaching, has committed the sin of formal heresy. I maintain that the teaching of Pope John Paul II in Ordinatio Sacerdotalis (n. 4) against the ordination of women priests is infallible under Papal Infallibility. It meets all of the criteria for Papal Infallibility as taught by Vatican I and reiterated by Vatican II. The Pope does not need to intend to exercise Papal Infallibility explicitly; that is not one of the criteria. The Pope does not need to know that he is exercising Papal Infallibility; that is not one of the criteria. The Holy See or the prefect of the CDF does not need to confirm that the Pope exercised Papal Infallibility; that is not one of the criteria. However, even if the teaching of Ordinatio Sacerdotalis is infallible under a different mode of infallibility, under the Universal Magisterium, its obstinate denial or obstinate doubt is nevertheless material heresy. And anyone who obstinately freely knowingly chooses that denial or doubt commits the sin of formal heresy. and that the rejection of the second type of infallible teachings is not heresy, and that the ordination of women priests falls in that second category. However, I argue, based on teachings of the Magisterium with greater authority, that no such distinction is tenable. This teaching of Cardinal Ratzinger (not reiterated so far during his Pontificate) is an example, in my considered opinion as a faithful Roman Catholic theologian, of an error in the non-infallible teachings of the Magisterium. See my article here, for my theological explanation of this point. The Council of Trent uses the simple phrase “to be held” for its infallible declaration on the Canon of Sacred Scripture. So the phrase ‘to be held’ is often used by the Magisterium to refer to the assent required of infallible teachings; this is the full assent of faith. The knowing choice to withhold that assent is the sin of formal heresy. All who commit formal heresy are automatically excommunicated. Those who reject the supposed higher category of infallible teachings are guilty of heresy. But those who reject the supposed lower category of infallible teachings are (it is implied) not guilty of heresy, and yet they have thereby fallen out of full communion with the Catholic Church. This assertion itself supports my position, that there is only one category of assent to infallible teachings: the full assent of faith. For how can someone lose full communion with the Church, and yet not be excommunicated? The loss of communion with the Church is the definition of excommunication. Therefore, any knowing and free choice to obstinately doubt or obstinately deny any infallible teaching is the sin of formal heresy, and carries the penalty of automatic excommunication. in this follow-up post. Is this heretical teaching by Akin the sin of formal heresy? 2. the rest of Christ’s human nature and His Divine Nature become present by concomitancy. 2. the substance of the body, blood, soul, and divinity of Christ become present by ‘multi-location’. In Akin’s teaching, there is no CHANGE of substance, and there is no concomitancy, as the Council of Trent infallibly taught. If Jimmy Akin knows the teaching of the Council of Trent on transubstantiation, and yet continues to believe his own alternate theory, then he is guilty of formal heresy and is automatically excommunicated. In any case, he is certainly guilty of teaching material heresy. Jimmy Akin’s view on the ordination of women to the priesthood is not heretical; he holds a tenable theological position on the subject, stated in this podcast (audio file) — Is Women’s Ordination a Heresy? Akin concludes, correctly, that this idea (that the Church does have the authority to ordain women to the priesthood) is contrary to the infallible teaching of the Magisterium. But he errs by saying that the idea is nevertheless not a heresy. This claim is based on the idea that there are two types of infallible teachings, those to be believed with divine and catholic faith, the denial of which is heresy, and those to be held definitively, the denial of which is supposedly not heresy. However, even given the assertion of Cardinal Ratzinger that some infallible teachings require a lesser degree or different type of assent, the same document of Cardinal Ratzinger does state that the denial of this type of infallible teaching removes the person from full communion with the Church. So no Catholic can knowingly and freely choose to reject any infallible teaching of the Magisterium, including the teaching against women’s ordination to the priesthood, and still remain in full communion with the Church. Infallible teachings of the Magisterium are always found, explicitly or implicitly, in Divine Revelation. 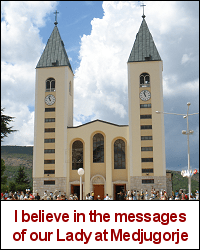 Those truths that are said to have a ‘necessary connection’ with the explicit teachings of Divine Revelation are therefore, by the fact of that necessary connection, implicit in Divine Revelation. Such implicit truths include the Immaculate Conception and the Assumption — infallible teachings the denial of which is abject heresy. Now according to Dei Verbum, n. 10, all that the Magisterium teaches is found in Divine Revelation (whether explicitly or implicitly). So whenever the Magisterium teaches any truth infallibly, it is necessarily always the case that such a truth is divinely revealed. There cannot be a category of infallible teachings which are infallibly taught by the Magisterium — always from Divine Revelation — and yet are not divinely revealed. Therefore, all infallible teachings of the Magisterium are divinely revealed, all are found in Divine Revelation (Tradition and Scripture), all are certainly true, all are irreformable, and all require the full assent of faith, under penalty of heresy. The non-infallible teachings of the Magisterium are non-irreformable. These teachings can possibly contain some limited errors, though never to such an extent as to lead the faithful away from the path of salvation. These teachings can be reformed, so that the limited errors are corrected. A Catholic can faithfully disagree, to a limited extent, with a non-infallible teaching (such as the teaching that some infallible teachings do not require theological assent) without sinning. However, it is a common problem among many different Catholic authors that non-infallible teachings — while acknowledged to be non-infallible and non-irreformable — are nevertheless effectively treated as if they could not err in the least. Such is the case with this non-infallible teaching of Cardinal Ratzinger on levels of assent. The faithful should not treat this point as if it were infallible and irreformable. Ron, here are the norms which expressly impose the obligation of upholding truths proposed in a definitive way by the Magisterium of the Church, and which also establish related canonical sanctions as expressed by John Paul II. Please do not post entire documents in the comments. Just use a link instead. I edited your post to link to the document in question, rather than posting it in its entirety.